Our company has created a niche in the field of offering Aquaculture Cage. 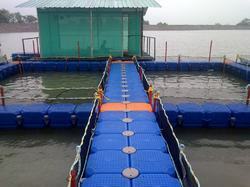 Floating cages for fish farming. Suitable for Pangasius, TIlapia and Seabass CUlture. 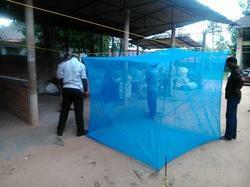 We are a reckoned name, which is readily engaged in delivering Aquaculture Nets at customers' premises. The offered range of aquaculture nets is developed by dependable vendors, who ensure to use PE and nylon. Moreover, the offered range of aquaculture nets also incorporates knot-less and knotted salmon or tuna fish cages. a system of aquaculture in which the waste produced by farmed fish or other aquatic creatures supplies the nutrients for plants grown hydroponically, which in turn purify the water. Our application focus and user centric approach has enabled us to offer Customized Synthetic Cages, Predator Nets and Mooring System Ropes of stringent international standards for Aquaculture that are used in marine, inland and brackish water environment.